You can ship luggage to your hotel with Send My Bag. This means you can send your luggage ahead before you travel and have it waiting for you on your arrival. You can also have your luggage picked up from the hotel when you return home. Items that you can send to/ from your hotel include personal effects (sent in suitcases, bags, or boxes), golf clubs, skis, and bikes. Who Ships Luggage to A Hotel? Many travellers use our ship-to-hotel service if they are taking an extended trip and need to transport enough luggage to last them the duration of their trip. Travellers who need to move between hotels as part of an international tour also enjoy the benefits of having their luggage taken care of. 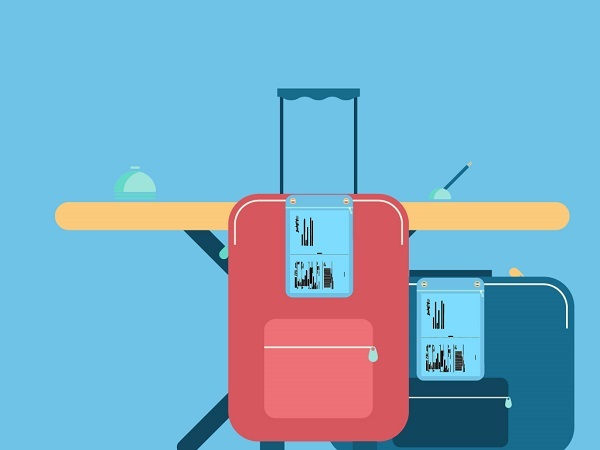 Large groups travelling together, or even families, can speed up an otherwise lengthy journey by taking away the hassles associated with luggage. By sending everyone's luggage to the hotel, there is no need to check in numerous bags at the airport, wait around at luggage carousels and chase up missing bags, or hang about while bags are loaded onto coaches. Large groups can simply fly and go. Why Ship Luggage to a Hotel? Take care of your children, rather than your suitcases. You must make sure that your hotel has a standard postal address, one that receives mail or courier services on a regular basis. There must be someone at your hotel who can receive your items for you, so a manned reception or concierge desk is essential. It is possible to send luggage if you are staying in a holiday villa or apartment, as long as there is a main resort office that your baggage can be sent to and signed for. Don’t plan your collection the day you travel, but allow a one-day buffer in case of any extenuating circumstances. Note that your items will need to be collected at the main point of access in your hotel, which means your luggage must be waiting at the reception or concierge desk on the day your collection is scheduled. Ensure you have notified the hotel in advance that your luggage will be arriving with them and/or that your luggage will be collected from. Always check your baggage shipping destination to see if it is suitable for holiday/ vacation luggage. More information on sending unaccompanied baggage is available. Many customers who send their golf clubs ahead are staying in private villas within golf resorts. These customers send their golf clubs to the resort reception or pro shop so that their clubs can be signed for by resort staff. Find out more about shipping golf clubs. If you are staying in a ski chalet within a ski resort you must enquire with the resort as to the best address to send skis to – somewhere that the skis and any other luggage can be signed for and stored, in anticipation of your arrival. If you are sending to a seasonal villa, ski resort, or port which is not a standard address within the everyday rounds of the local delivery network, please contact us to ensure services are available to your door. Find out more about ski shipping.